More than half of all voters are dissatisfied with the Government's performance, according to a poll in tomorrow's Irish Times. However, the Ipsos MRBI poll also found that support for the two Government parties remains strong, and that there has been a big increase in satisfaction with Taoiseach Enda Kenny. The poll was carried out between Friday and Monday among 1,000 voters nationwide. 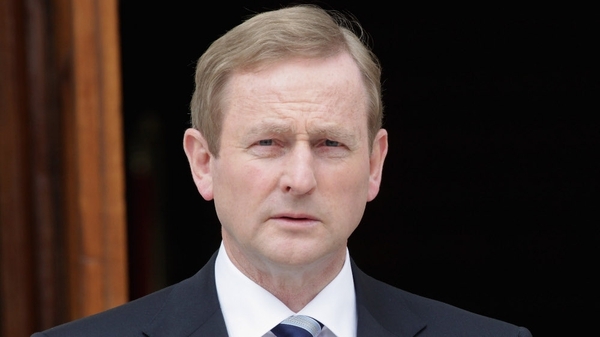 It found support for Fine Gael at 38% - two points higher than its General Election result. Labour is at 18%, one point down, while Fianna Fáil gains one and is also at 18%. Support for Sinn Féin is unchanged at 10%, while Independents and Others are down one to 16%. Satisfaction with the Taoiseach at 53% is up 16 points since the last similar poll in the middle of February. Satisfaction with the other party leaders is also up - Eamon Gilmore by four to 44%, Micheál Martin by six to 37% and Gerry Adams by two to 31%. But, while 37% say they are satisfied with the Government's performance, and 8% have no opinion, a majority of 55% say they are dissatisfied.